The very well known CyanogenMod 10 has finally reached its final and most stable state ever. The Custom ROM based on AOSP Jelly Bean 4.1 is now ready to be installed on various devices as a stable ROM, no longer in the nightly version that we already got used to. As all things evolve in time so did CyanogenMod because the team did a really amazing job improving this to its final state. Why is CyanogenMod so good, so awesome, so amazing? Because it gives access to Jelly Bean even to the unluckiest of the users that didn’t get the chance to experience it over an official update. That’s because Android 4.1 is only being released on some devices, not even SGS3 is getting it in all countries yet. How does the future look for CyanogenMod? Well, knowing that Android 4.2 was released on AOSP i’m very sure developers are getting their hands on it and very soon we’ll be looking at the next CyanogenMod ROM maybe 10.1. 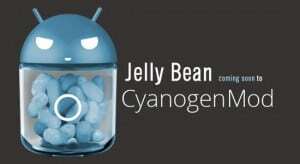 CyanogenMod 10 is only available on a number of devices, even though the list is surely being updated as we speak. We can provide you with a list with the devices that support CyanogenMod 10 final: Samsung Galaxy Note (TMUS), Samsung Galaxy Note (AT&T), Samsung Galaxy S III (AT&T), Samsung Galaxy S III (M. PCS), Motorola Xoom (Wifi), HTC One S, Samsung Galaxy Nexus (vzw), ASUS Transformer Pad Infinity, ASUS Transformer Pad, LG Optimus LTE (SKT), Samsung Galaxy S Blaze 4G, Motorola Xoom (vzw), LG Nitro HD / Optimus LTE, Sony Xperia T, Google Galaxy Nexus (GSM), HTC Evo 4G LTE, hikari, Samsung Galaxy S II (G), Samsung Galaxy S2 T-Mobile, Google Nexus 7, Samsung Galaxy S, Samsung Galaxy S (B), Motorola Xoom (3G), Samsung Epic 4G, HTC One XL, Samsung Galaxy S III (TMUS), Samsung Galaxy S III (US Cell), Samsung Captivate, Samsung Galaxy S2 ATT LTE, LG Optimus Black, Samsung Galaxy S III (vzw), Samsung Galaxy S III (Sprint). This is what the CyanogenMod team was able to create for now, but surely the list will be updated. 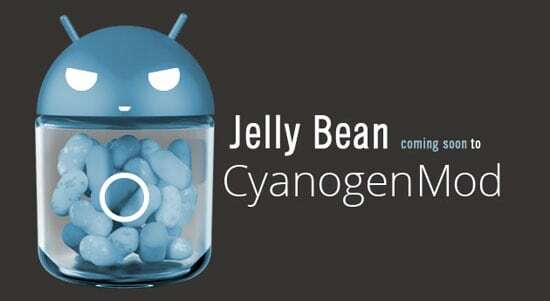 Now you can update your phone to the latest Android Jelly Bean by using the Custom ROM from CyanogenMod, the CM10 Final. Thanks to the CM team for providing this to us all and hopefully we’ll receive even more in the future from these great guys. Visit our section Android Updates to stay tuned with the latest updates for your device!